JB Blankoshop is a super clean and minimal Virtuemart starter template. It's a responsive Joomla template designed for you to either build your ecommerce master piece with or if you like things a little simpler just add a little touch of zen to Joomla's old favourite ecommerce solution. 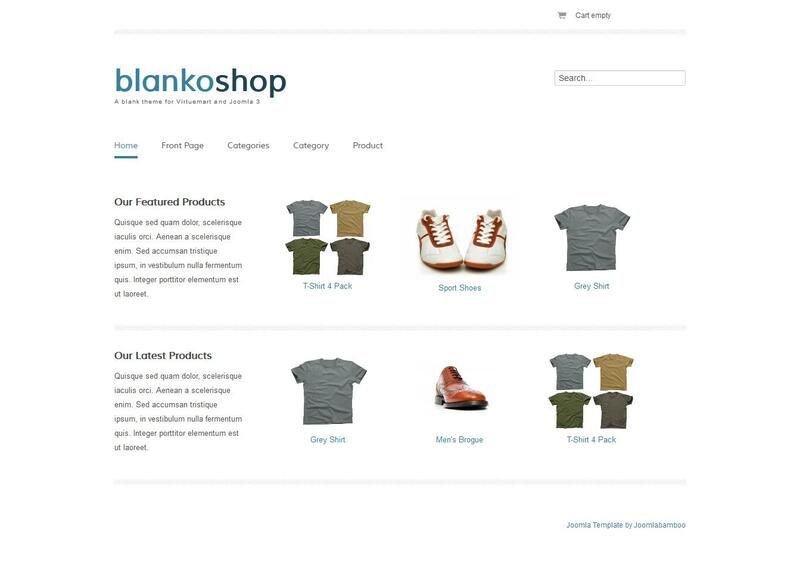 Blankoshop uses our new css reset file for Virtuemart called Zen Mart. Zen Mart softens some of the rough edges of the default Virtuemart output and creates a clean and simple layout for you to create your online shop with.